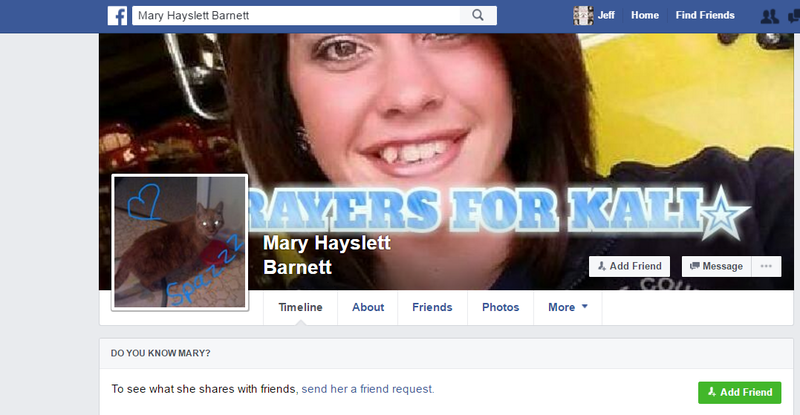 Stop by Mary’s Facebook page and let her know how you feel about this. 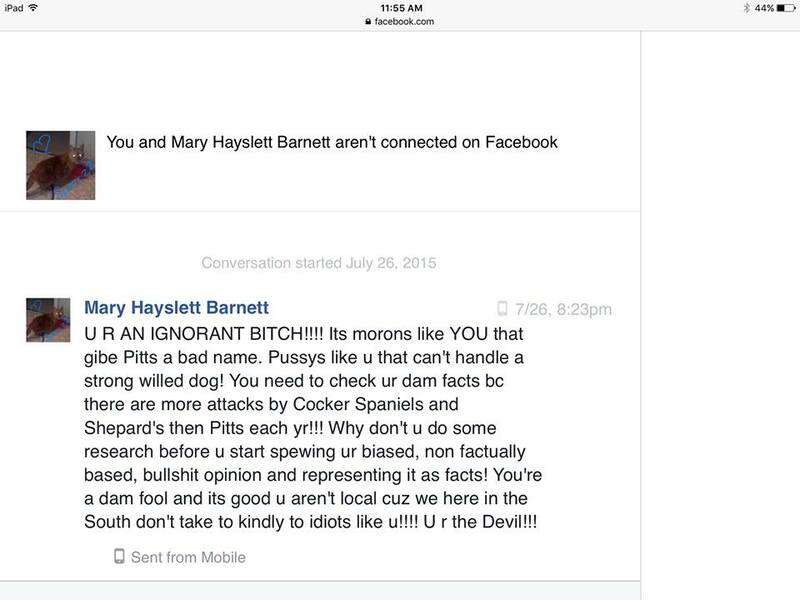 This entry was posted in hate mail and tagged hateful, Mary Hayslett Barnett, messages, pit bull victims. Bookmark the permalink. Why? Why? What is wrong with these people? Why would they want to keep hurting innocent victims?